Remember Everything. That’s the Evernote motto and that’s what it allows you to do best. If you aren’t familiar yet with Evernote, you’re in for a real treat! If you have heard of it, but never really understood what the big hype was about it – my goal is that you will, after this article. Evernote is a cloud-based service that allows you to save anything you want and then easily find it. But there are a lot of cloud services that allow you to save stuff, so what sets Evernote apart from the rest? Well, there really isn’t one clear-cut answer to that, but there is one clear-cut article. Capturing anything you want to remember. Searching for them quickly and easily. 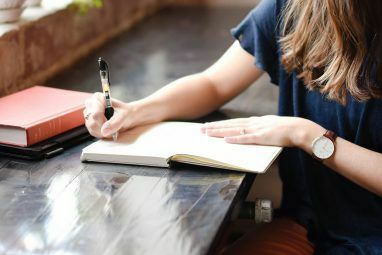 First off, before we go into all the in-depth details, you need to understand how Evernote works to truly appreciate the value of the product. No, not the software, but the business. Evernote does have a premium subscription at $5 per month, but they will never pressure you to purchase it. The free version simply has a small box where they advertise to you. But they’re good advertisements about things you can actually benefit from. Evernote is a tool that can really be used for anything. People of all trades have found ways to add more value to their daily routine and businesses with Evernote. At first, you might not know all you want or even can do with Evernote. But don’t let that discourage you. I think that pretty much every Evernote user at one time or another felt the same way. As you use Evernote more and more, you’ll develop a system and continue to find unique ways to let Evernote work for you. With Evernote, you can access it literally from anywhere – your smartphone, tablet, laptop, desktop or a public computer via the web interface. 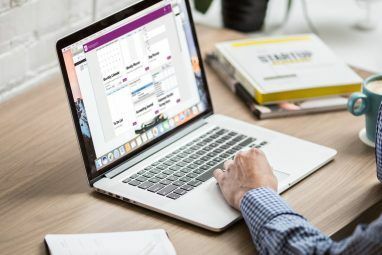 Evernote comes with a desktop app 5 Uses for the Evernote Desktop Clients [Windows and Mac] 5 Uses for the Evernote Desktop Clients [Windows and Mac] A couple of years ago, we had a post on the myriad uses for Evernote, which could well be an all-in-one second brain. With the advent of improvements on the desktop clients, there have been... Read More for Mac OS X, Windows desktop and Windows 8 (Touch), as well as support for the mobile platforms – iOS, Android, Blackberry, Windows Phone and WebOS. There are a lot of features and tools that Evernote has which enables you to capture what you want to remember and find it again later. Remember the part about it being free? The majority of these are available to you through the free version – which differs from the way a lot of other free software works. Let’s take a look at some of the features and how they all fit together. Send to Evernote via Twitter and email. In addition to just having notebooks, you can also categorize them by “stacking” them under other notebooks. You might also call these “sub-notebooks”, but Evernote officially calls them stacks. What about space? Honestly, yes – the free version does have less space than what you’d get if you were to upgrade. But 60 MB per month is more than enough for notes and low-quality photos. Now, if you want to start using Evernote to save lots of high quality images, you’ll definitely need to upgrade. Each month, though, the amount resets to zero, and you get another 60 MB for the following month. You can also see how much you’re using as well. In addition, there are some data limits. For instance, you are currently only allowed a size of 25MB per note if your a free customer and 100MB per note as a premium customer. Evernote also does put a limit on the amount of notes, notebooks, tags and saved searches that you can have. You are allowed 100,000 notes, 250 synchronized notebooks (all of which can be shared), 10,000 tags and 100 saved searches. As of now, this is the same for both free and premium customers. Think of a binder that has everything you need in it – 100,000 notes and 250 notebooks worth. That’d be a huge binder – except now think of the binder as the size of your phone, tablet or laptop. Not so overwhelming now is it? That’s Evernote for you. Is Evernote’s storage unlimited? No, not technically. But it still is more than I will probably ever use, and I use Evernote for everything. And the great thing, again is that there is no long-term storage limits. Yes there are monthly upload limits and note-size limits, but in the long run, you won’t ever have to worry about running out of space. Most services don’t work that way, which is one thing that makes Evernote so awesome. If you ever copy a text or image from the web, such as an email or from a web article, Evernote will automatically attach the URL which the content was derived from to the note. Pretty nifty huh? If it doesn’t or you’d like to manually do it yourself, you can always copy and paste the URL in the Source URL field in the note. Geolocation allows for the ability to look back at your notes and know where they were created. On many mobile devices, and even Macs (I think), this is automatic whenever a note is created. On my Windows computer, however, I have to manually add the location in. Even with the manual option, it still is a nice feature to know about. In addition to being able to save anything you want, you can also share anything you want in a variety of ways including Facebook, Twitter, LinkedIn, email and simply by copying the link to the notebook or note and pasting it wherever you’d like. If you’re unfamiliar with OCR technology, Evernote will blow you away. Basically, OCR allows you to search text in images. So if you scan a document in as a JPEG and you want to search for a specific word in that document, Evernote will detect it in that search. Evernote also can index your PDF files to make them searchable via the OCR technology as well. This does come at a price, though at $5/month for Evernote Premium. That said, once you’ve indexed your PDFs, they will forever remain searchable. So if you opt to only pay for Evernote for a single month and scan all your PDFs in as documents, you will still be able to search them later once you’re back as a free, non-paying customer. However, you should realize that any PDFs you add after that point won’t be searchable via OCR. If there are ever two or even a series of notes that you’d like to combine into one note, Evernote allows you to do that. This works great when consolidating information from all over the web into one single document. Also, there are sometimes websites which break up articles into several pages. By clipping each one, and then merging the notes together, you’re able to keep the entire article together and read it offline whenever. Reddit even explains how to use this feature to make an eBook (they talk about using Evernote Clearly, but the Web Clipper works just as well). So how do you do this? Select the notes you want by holding down the Shift key and clicking the notes, then right-click on one of the selected notes and click Merge Notes. With Evernote, you get your very own email address which is unique to you. Don’t share this with anyone (although you are able to reset it). Just add it to your contact list and then whenever you want to save an email, forward it to Evernote. In addition, there is a Twitter bot which you can tweet to and it will automatically send it to Evernote. Obviously you have to set it up first. Mark highlighted this feature in his article Archive Your Twitter Tweets Into Your Evernote Account With @myEN. And for more information on this, you can also check out the Evernote blog article Evernote + Twitter = Instant Memories. Not only is the Evernote app an excellent tool, but so are some of the other tools and apps that they create like Skitch Skitch And Windows Finally Meet To Create An Intuitive, Yet Simple, Screen Capturing Experience Skitch And Windows Finally Meet To Create An Intuitive, Yet Simple, Screen Capturing Experience There is no shortage of screen capturing tools available – that is certain. 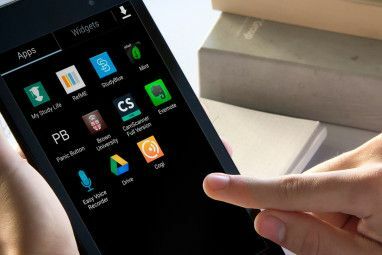 However, there is a shortage of applications that are quick and simple to use, while remaining useful and intuitive. There are a... Read More , Clearly and Web Clipper. Of course, there is also Evernote Hello and Evernote Food, which are both mobile apps. In reality, the Evernote Web Clipper is a must-have if you’re going to use Evernote at all. It’s a browser extension and bookmarklet that allows you to save whole webpages, articles, links and PDFs right to Evernote. From the Web Clipper you can specify the title, notebook, tags and add an additional description to it if you want. Clearly is another browser extension by Evernote that allows you to read articles without all the “bloat” (ads, website themes, etc). If you’re looking for a stable extension with the ability to send articles to your Evernote, you should definitely give Clearly a go. And by referring to your previous settings, it can even automatically tag and send articles to the appropriate notebook if you choose to save the article. And last, but definitely not least – How To Use Evernote: The Missing Manual. Ready to jump into using Evernote? Download it here. If you use Evernote, how have you integrated it into your life? If you don’t yet, has this article changed your perception of it and convinced you to give it a shot? If you have your very own Evernote tips and tricks, we’d love for you to share them with the MakeUseOf community. I understand that Evernote says you can always export your data to an HTML format, but can you export and then DELETE your data from their servers? You know, DpinAZ, that is potentially the one thing I don't like about Evernote. You can delete your account, but even by doing so, it won't remove the data with it. Perhaps I'll do some more research as to why they set it up that way. The work around here is to delete your notes manually (obviously export them first) on the desktop app, sync the changes to the cloud, then sign in to your account online and deactivate it. That would be how to remove all your traces from their servers. I hope that helps a bit. I just might do a little more research as to why they set things up that way. Thanks for reading! Anyone know of a bookmarklet that can be used to "clip" web pages to Evernote? The Clipper extension (I'm using the one in Firefox) is too many clicks - first you have to click the button, then choose the notebook, edit tags, and then click "Clip". I'd much rather have a button or bookmarklet that just send the page to my default notebook, so I can deal with it later. Anyone? Please? There is a bookmarklet, available on the Evernote Web Clipper page (http://evernote.com/webclipper/). Hover over the "For other browsers" link, which will instigate a pop up. From there you can drag to bookmarklet link to your bookmarks bar. That said, the beauty behind Evernote is having things organized. And although you can use it any way you want and can create your own system with it, throwing everything into one folder without tagging it is a lot like throwing everything into one drawer or one room and not organizing it, which is convenient at the time... but not when you want to find it. Hope this helps. There's a lot on the MakeUseOf about Evernote (as well as the rest of the Internet) so there's a lot at your disposal. If you have any other questions, though, feel free to ask! Thanks for answering my question! However, the bookmarklet from that web page does the same thing as the Clipper - popping up a screen asking me where to store the note. I do use that sometimes, but often, when browsing, I don't want to have to start thinking about where I want to store what - I just want a one-click solution, that will send the page to my Evernote "Inbox", where I can sort it later. Do you know if such a thing exists? Evernote SHOULD be guessing what notebook you want that in, based on your clipping habits and/or the content of what your clipping in comparison to what your other notebooks contain. It also automatically applies tags which have been applied before to similar content. That should save you time. That said, isn't it more work to go back through and reorganize everything in your Inbox? Kind of takes away from the ease of clipping pages, no? It should guess, but it's not always right. That's because I often clip a page because it has some sort of "todo" associated with it, so I put in my "Inbox". Then, once a day, I sort my inbox, and will put it into my "Action" notebook, with tags for what it is and how important it is. Then, once it's done, it goes into a Storage notebook, with tags for what it is. So Evernote's guess is usually that storage notebook, and it's usually wrong. Go to the extensions options. There's an option called "Enable Smart Filing" where you can enable it for notebooks, tags, both OR disable it completely. Try disabling it completely and see if it'll just choose your default notebook (your inbox) when the web clipper is clicked. Okay, that's much better. I set it to use the default notebook. So now I just have to click on the extension, wait for it to load, and then click clip. Much better, but I'm still gonna look for a one-click extension. I've been using evernote for years, first note in Sept 2008. recently upgraded to premium and I use it every day. Its on my phone tablet and desktop so I have everything where ever I go. After I had read this article my thoughts about Evernote didn't degrade. Though there can be a giveaway for Evernote Premium or with exchange of points. "It’s Portable". There's a web interface that you can access from anywhere, but there isn't an actual portable USB key version from what I remember. Right. Which is why I didn't mention that in my article. There has been some talk among users about unofficial portable versions, but I don't think anything has taken off, nor should it without Evernote's validating. I'm not sure exactly what all is involved in creating that. But in all reality, there are very few places that don't have access to the Internet, so there really isn't much of a need. Aaron Couch, You did a nice job with this post. easy read , and great info! I am going to get Evernote. Thanks! There are two cases that are going a long way to convincing me Why I Should NOT Be Using Evernote As My Go-To Place For Remembering Everything. Instagram/Facebook bold-faced grab for the ownership of all images stored on Instagram servers by their users/customers. They supposedly rescinded that policy but what is to prevent them from trying again (and succeeding) in the future? As of March 20, 2013, Rapidshare has eliminated their Unlimited Storage plan. Even customers who prepaid for long term unlimited storage will have their contracts terminated on that date. Rapidshare will be offering only two per-month storage plans - 250 meg for 10 euros/month and 500 meg for 20 euros/month. Anybody with more than 500 meg of data will have to pay for storage in 250 meg or 500 meg chunks. How much will a terabyte of data cost you to store? You do the math and you will find it way cheaper to store the data on your own drives. Those may be isolated examples but what is to prevent other companies from changing their Terms of Service on the fly to the detriment of their customers? What happens to your data when Evernote goes out of business? Thanks for your comment. Definitely a very valid concern that we should always keep in mind -- can I trust this company and what happens if I do and they don't come through? That honestly is something that I can't tell you for sure. I am in no way an expert when it comes to security or Evernote. Do I know some? Sure. Do I know everything? Ha! I wish -- there's a lot to know. That said, Evernote is a pretty reputable company. They clearly state that your data is yours. They allow you to export it to HTML. I would think that if something happened, like Evernote shutting down, they would give a notice and provide clear instructions of how to move your data (although they already do provide those). I hope that helps explain a few of your questions/concerns. I think you might appreciate some of the other readers' comments and my replies to them as well. I was hoping you would cover the security issues. I am sure it can be used to save a lot of confidential notes too. I have never enabled sharing not that I have something confidential. But I just don't want anyone reading my notes. I have never seen evernote ever talk about security. I was hoping this review would have touched that issue. It think its an important one. As I mentioned to ReadandShare, I don't claim to know everything about Evernote, so I'm just doing my best to address your concerns. I encourage you to do your own research as well. Also, I am going to do some more in depth research and perhaps there may even be enough to justify a whole article. Thanks for your comment! I hope this helped. I especially like the web clipper add-on for saving stuff from Makes Use Of. The Evernote MUO booklet is also very good. I have to admit I haven't explored all the capabilities of Evernote but what I have done has worked very well. Great article -- got me interested in using Evernote as my information depository. But reading some of the comments afterward, I too am concerned about the supposed "closed system" and difficulty in extracting info out of Evernote. A follow-up article would be much appreciated. Sorry about the delayed response and thanks for your patience. I don't claim to know everything about Evernote. Like most things in technology, there's always something more to learn. I do trust Evernote as they have given me no reason to believe they're an irresponsible or not a reputable company. I think they're business model is quite solid as well. As far as extracting your data, you can export it into HTML. I personally don't know a lot about this as I haven't really had the need to, BUT let me research this and perhaps there will be enough information to explain it in another article. Either way, I'll keep you posted. "You omitted that it allows Google to distribute all your info to whom-so-ever you may not want to receive it"
Google wouldn't do THAT, would they??? That's quite a claim to make. Is there proof, such as an article, to back that up? If so, I'm interested. I'm curious as to how Evernote is connected to Google at all though and I'd say that Google's new service, Keep, is a clear indicator that they're competing, not working together to "distribute all your info". Thanks for your comment. And feel free to share anything to back up your claim. Also runs on old gingerbread devices. Google Keep doesn't. Where is the "sponsored by Evernote" tag on this article? Hmm...maybe it is that Google released is own entry into this space. Why doesn't anyone who pushes Evernote never mention the fact that it is near impossible to get all that data out! It is a "closed" system as it stands now. It is seems obvious that it is a business strategy--make it easy to put data in (Web Clipper), and impossible to get it out. When choosing something that begs you to put everything in it, always ask how do I get it out when business shutter its doors, business value changes or something better comes along. I won't even mention Evernote's record on security because it is not too different than most free services. Ever try editing some things you put into Evernote? 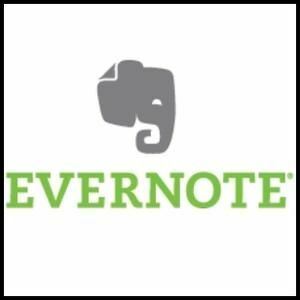 I do think there is much functionality in Evernote, but this article ignored many critical considerations. The article is part of the mindless, lemming-like rush to throw EVERYTHING in the cloud, whether it should be there or not. It is going to be interesting to watch how the people react when companies start saying "It's on our servers therefore it is OURS. Possession is 9/10 of the law." Thanks Norm, I've never tried to export any data from Evernote and your comment made me stop and think - is my data stuck there forever? What if I ever wanted to move it - or if Evernote closed down? Before Evernote I used OneNote for a while - and migrating data from there into Evernote was straightforward. You can export everything out of Evernote as HTML in a couple of clicks with the File -> Export command in the desktop version. Not to say that this isn't a consideration, but making it sound like Evernote is purposefully trapping your data is silly. I so agree with article although I was a bit disappointed at Food on the Android version that is not at all comparable to iOS version.